Remain forever secure within the absolute and unchanging nature, we pray! 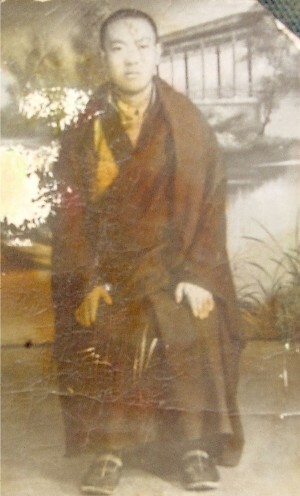 According to the requests of Sogyal Rinpoche, emanation of Nanam Dorje Dudjom, who was one of the five heart-sons of Guru Rinpoche with purest karmic fortune, and Pewar Rinpoche, who is like a beacon shining out the light of the teachings from a vast treasury of sutra, mantra and pith instructions, this was written together with prayers of aspiration, on the first day of the waxing phase of the moon in the month of Saga Dawa during the Fire Pig year, by Pema Wangchen Dorje, the one who holds the name of Kathok Rigdzin Chenpo. May virtue abound! This page was last edited on 16 August 2008, at 08:34.